Ormiston Herman Academy – Pompom creatures are made in Enrichment! 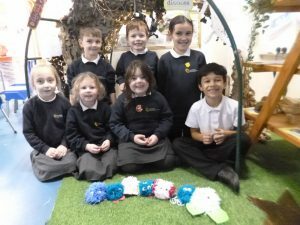 Ormiston Herman Academy > News > Academy news > Pompom creatures are made in Enrichment! Pompom creatures are made in Enrichment! Children in Mrs Humphrey’s enrichment group have been learning to make pompoms. They chose which colour wool to use and then designed features to create these fun pompom creatures. Our next project will be to make book marks decorated with cross stitch designs.